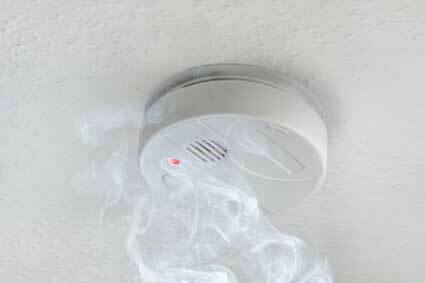 Do you have the right amount of smoke detectors in your home and are they installed properly? The placement of smoke detectors is very important. Sleeping areas need the most protection. A smoke detector should be installed in every room that will be occupied. Proper mounting of a smoke detector is also important. You can mount many detectors yourself, but those connected to your household wiring should have their own separate circuit and be installed by a professional electrician. If you mount your detector on the ceiling, be sure to keep it at least 18 inches away from dead air space near corners. If you mount it on the wall, place it 4 to 12 inches below the ceiling and away from corners. Keep them high because smoke rises. Never place them any closer than 3 feet from an air register that might recirculate smoke. Do not place them near doorways or windows where drafts could impair the detector operation. Do not place them on an un-insulated exterior wall or ceiling because temperature extremes can affect the batteries.